UPDATED: Wed., April 18, 2018, 10:30 p.m. 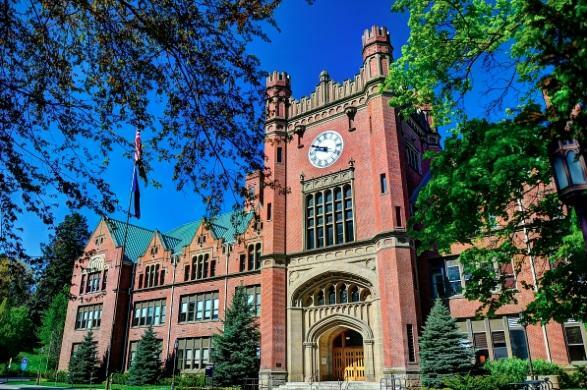 Tuition and fees will jump 5 percent for resident students at the University of Idaho next year, and 8 percent for nonresident students. The state Board of Education agreed on the increases after hours of debate and numerous failed motions at a meeting on the UI Moscow campus on Wednesday. The board also approved 5 percent increases for resident students at Boise State University, with a matching 5 percent hike for out-of-state students there. Students at Lewis-Clark State College in Lewiston will pay 4.5 percent more in tuition and fees next year, whether they’re in-state or out-of-state students. At Idaho State University in Pocatello, the tuition and fee increase was set at 3.5 percent for in-state students, and 5 percent for nonresidents. “We operate one system, but each institution has its own characteristics and needs,” said Debbie Critchfield, vice president of the state board. The board cited two main drivers for the increases: increased costs, and employee pay increases approved by this year’s Idaho Legislature. State lawmakers this year approved 3 percent merit-based pay increases for state employees; at the universities, no additional state general funds were allocated to help each one cover that increased cost, though university leaders have long warned that without that, state-approved pay increases prompt tuition increases. The board-approved tuition and fee increases matched the requests from Lewis-Clark State College and Idaho State University. But they came in slightly below the requests from the UI and BSU; UI leaders asked for a 6 percent hike for resident students and 9 percent for nonresidents; and BSU requested a 5.1 percent increase for both in-state and out-of-state students. Last year, tuition and fees went up 3.5 percent at the UI, BSU and LCSC, though UI and BSU had requested 6 percent and 5.1 percent, respectively, for full-time in-state students. LCSC’s increase last year was 3.5 percent and ISU’s was 3 percent for in-state students, matching their requests. Published: April 18, 2018, 5:56 p.m. Updated: April 18, 2018, 10:30 p.m.